Background/Purpose: Hydroxychloroquine (HCQ) is widely used in the treatment of chronic rheumatic diseases. Its long-standing use has been associated with retinopathy in a daily and cumulative dose dependent manner by weight. Less frequently, ‘bull’s eye maculopathy’ may be found, which is irreversible and can result in blindness. We examined the prevalence of ocular toxicity in a large cohort of patients in a tertiary center in the United States treated with HCQ for inflammatory arthritis and systemic lupus erythematosus (SLE). Methods: Our retrospective cohort study identified 2898 patient from 1999 to August 2017 with diagnoses of rheumatoid arthritis (RA), inflammatory polyarthritis, SLE, subacute cutaneous lupus and discoid lupus erythematosus who had a prescription written for HCQ. 31 patients were identified as having a diagnosis of ‘blindness’ or ‘toxic maculopathy’ in their electronic medical record (Epic) and were chart reviewed. Patient weight and dose of HCQ at initiation and discontinuation, dose of HCQ at the time of any ocular symptoms, duration of HCQ use, rheumatologic diagnosis, reason for blindness or vision impairment, comorbidities and the use of tamoxifen were extracted into REDCap database. Of our 31 patients with a diagnosis of ‘blindness’ or ‘toxic maculopathy’, 11 had documented blindness of one or both eyes. In each of these cases, a diagnosis other than HCQ ocular toxicity was confirmed as the cause of blindness: stroke (27%), pre-existing macular disease (18%), diabetic retinopathy (18%), hypertensive retinopathy (9%) and cataracts (9%). Three out of the 31 patents in our cohort had HCQ retinal toxicity, each without blindness or change in vision. Two cases were identified with bull’s eye maculopathy attributed to HCQ, diagnosed on fundus and macular optical coherence tomography (OCT) exam. Case one was a 51 year old female who had been treated for SLE with HCQ 400 mg daily for over 20 years at 7.1-8.2 mg/kg dose based on documented weight over 15 years. Case two was a 66 year old female who had been treated for SLE on HCQ 400 mg daily for at least 18 years at 7.3-8.2 mg/kg dose based on documented weight over 13 years. Comorbidity of case one was chronic kidney disease, whereas case two had hypertension and cataracts (not visually significant), both without prior use of tamoxifen. One patient had HCQ toxicity without bull’s eye maculopathy but with pigmentary changes on fundus exam and loss of photoreceptor inner segment and outer segment junction in mid periphery on OCT exam. She was 57 years old with 25 years use of HCQ 400 mg daily at 6.3 mg/kg dose based on documented weight over 11 years. She had underlying myopia controlled with glasses without vision complaints. Conclusion: There were no cases of blindness attributable to toxic maculopathy from HCQ use in our cohort of 2868 patients. We identified two patients with bull’s eye maculopathy (0.10%) and one with HCQ toxic maculopathy (0.07%) in this cohort; all 3 patients received HCQ for greater than 18 years, and none had functional vision loss at diagnosis. Our findings suggest that comorbid conditions that are common in RA and SLE contribute substantially to vision loss and blindness and should not be ignored. Disclosure: D. Singh, None; L. Muhieddine, None; D. Einstadter, None; S. Ballou, None. Singh D, Muhieddine L, Einstadter D, Ballou S. Prevalence of Blindness in a Cohort of Rheumatologic Patients Treated with Hydroxychloroquine [abstract]. Arthritis Rheumatol. 2017; 69 (suppl 10). 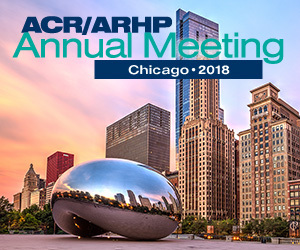 https://acrabstracts.org/abstract/prevalence-of-blindness-in-a-cohort-of-rheumatologic-patients-treated-with-hydroxychloroquine/. Accessed April 20, 2019.